One critically endangered species of smooth-shelled abalone is making a comeback in certain parts of its range along the California coast. To better understand the extent of black abalone recovery, a collaborative team led by scientists at the California Academy of Sciences, San Diego State University, University of Oregon, and Channel Islands National Park is turning to archeological sites on the Channel Islands. Their findings, published today in Ecology and Evolution, suggest that while the recent ecological rebound is encouraging, there’s still work to do before the black abalone should be considered fully recovered. Black abalone play a critical role in the kelp ecosystem along the California coast. The marine snails are an important food source for key predators like the endangered sea otter. Historically, coastal Native Americans relied on abalone for over 10,000 years–the shellfish later became one of California’s first commercial fisheries. To better understand the characteristics of a flourishing abalone population in a historically healthy ecosystem, the study team turned to the archeological record left behind along the rocky shorelines of the Channel Islands. 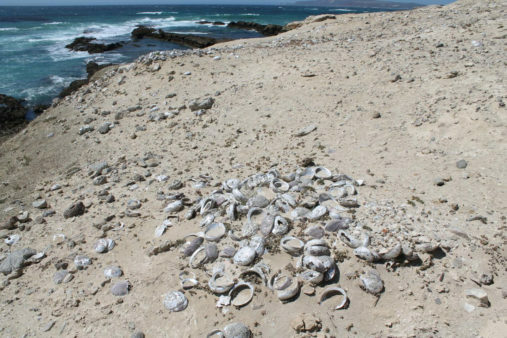 San Miguel Island, the westernmost island in the archipelago, hosts archeological sites spanning the last 10,000 years where the Chumash and their ancestors once deposited abalone shells by the thousands into trash piles known as shell middens. 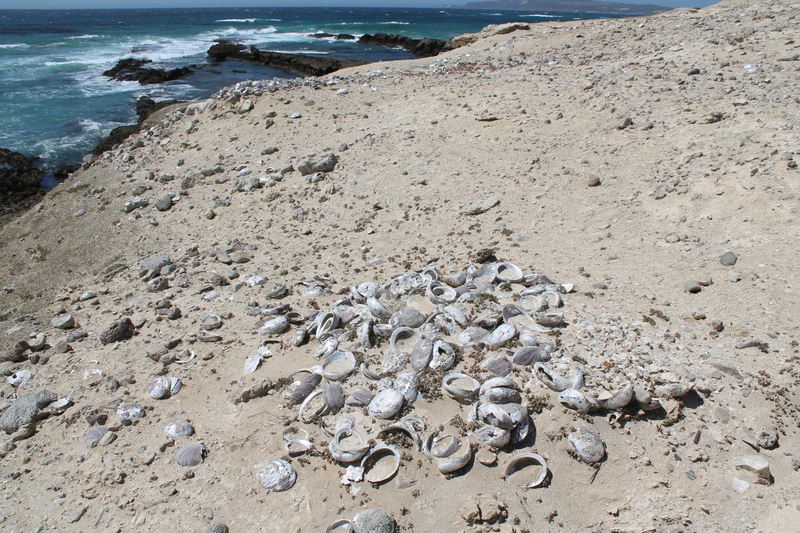 The team recovered nearly 2,000 whole abalone shells from 26 shell middens and measured shell size. They then compared deep historical shell size to modern measurements of live abalone collected by Channel Island National Park biologists during recent ecological monitoring. Shell size indicates the ratio of juveniles to adults and the population structure through time, which can help scientists compare and contrast overall population health between deep historical and modern eras. While there has been an encouraging rebound of black abalone in recent decades, current populations still pale in comparison to historical levels. Several thousand years ago, the distribution of juvenile to adult-sized abalone was more akin to what ecologists recognize as a healthy population. This was probably maintained by a delicate balance between competitors, predators, and prey that may have actually increased the productivity of black abalone over the long term. “We hope that our long-term analyses over the 10,000-year history of black abalone fishing in Southern California may help resource managers determine whether current abalone populations are healthy,” says Haas. Millions of smooth-shelled abalone once clung to California’s rocky coastline until a steep decline in the 1990s, driven by overfishing, warming waters, and a devastating infection known as withering foot syndrome. California closed commercial and recreational black abalone fisheries in 1993 and listed the species as endangered in 2009.